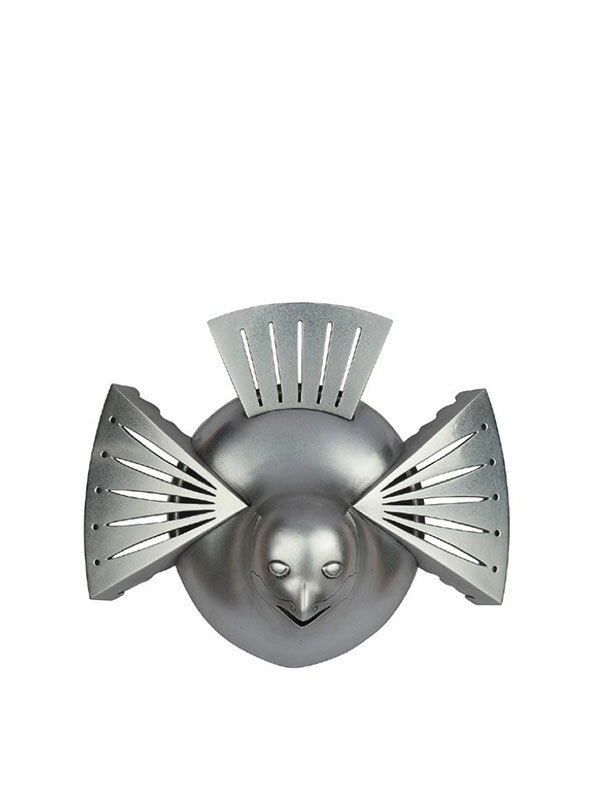 A silver hammered incense burner in the shape of the bird with its head turned upwards and open-mouthed, as if waiting to be fed. A line is incised around the mouth and the head has two almond shaped eyes. Two triangular wings with openwork long lines are attached to either side. The tail is of similar manufacture. The silver surface is smoothly finished. The accompanying original tomobako is inscribed in Japanese script, the translation of which reads: Silver koro in the shape of the Lucky Plump Sparrow (fukura suzume), in the taste of Rikyu. 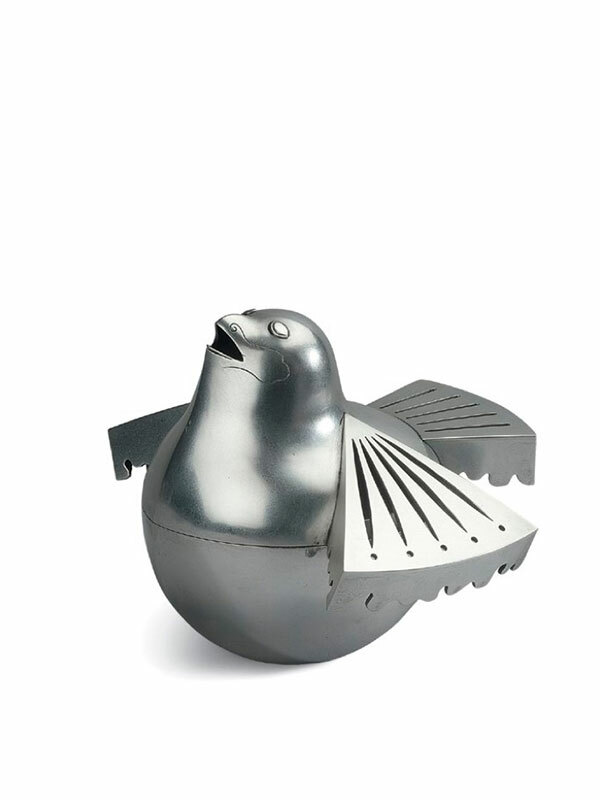 The subject of this finely made silver incense burner is the Plump Sparrow (fukura suzume). This sparrow is an emblem of good fortune and plays a role in the traditional Japanese fable Shitakiri suzume (‘The Tongue-Cut Sparrow’). The folk tale tells of a kind old man who finds an injured sparrow and takes it home to feed. His avaricious wife, jealous of the food the bird eats, cuts out the bird’s tongue and sent it flying back into the mountains from where it came. With the help of other sparrows the old man finds the sparrow and is presented with a choice of a large or a small basket. Choosing the small basket he finds a large amount of treasure upon opening it at home. Jealous, his wife goes in search of the sparrow and is also offered two baskets; greedily choosing the larger one it is full of demons, which kill her. Little is known of the maker Jomi Nagoshi but he is probably related to the Nagoshi Family of Kyoto. Based in Kyoto since the 16th century the Nagoshi family chiefly produced metal tea ceremony related items for Tea Masters. The family was given the title of ‘Tenkaichi’ (The First under the Heaven). The present Jomi Nagoshi is probably the last known, 11th generation, of this family. An identical silver sparrow is in the Levenson collection.